Electric cars and other vehicles continue to gain momentum, just as autonomous features are becoming mainstream. But while potential job losses due to autonomy are a strong focus, the multitude of impacts electrification will have on road transportation aren’t as clearly stated. Overall, the impact will be very positive economically, but there will be a lot of disruption and many losers too. Universal basic income isn’t just a value proposition for those displaced by weak artificial intelligence. Let’s assume a reasonable transition period of roughly 40 years to get to the point where electric cars were pretty much the only cars being sold. Internal combustion cars won’t disappear overnight, after all. ♦ Wealth will be generated globally. Cars are increasing in number even though there are indications that might be slowing somewhat. 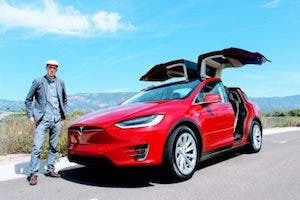 Companies that are successful at making and selling electric cars will make a great deal of money, especially as they take market share from ones that don’t. ♦ A lot of legacy car companies won’t make it*. The global epicentres of automobile manufacturing will have shifted substantially. California, China, and India will be winners. Japan, most of Germany, and Detroit will be losers. Areas of advanced manufacturing and related economic value will shift. While individual legacy car companies will survive the transition and grow, many will continue to lag and diminish as a result. 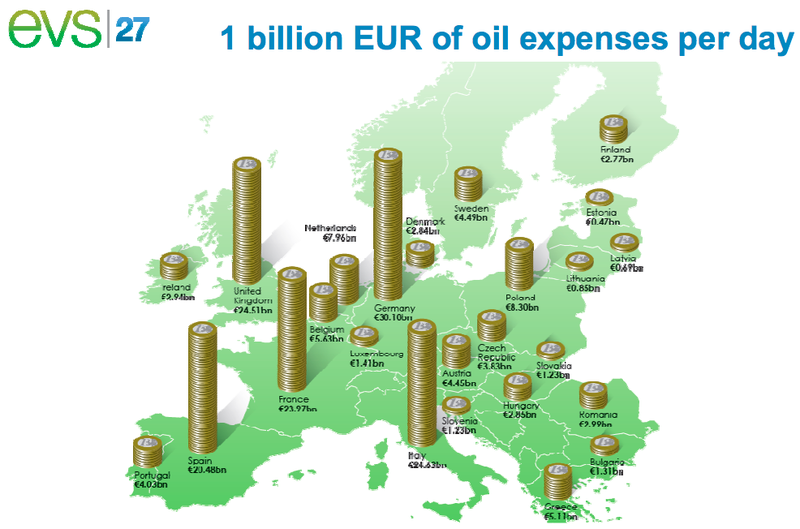 ♦ Much less oil will be consumed. Peak oil has arrived in a very odd and unexpected way for many. Hubbert turned out to be right about timing and there being a peak, but not because cheap oil disappeared. There’s more cheap oil now than there used to be due to shale fracking. The USA is on the verge of being a net energy exporter. That will play out over the next 40 years to a substantial decline in oil demand which will keep prices low. Many oil companies won’t make it, and parts of the world with higher-cost oil such as Alberta’s oil sands will be severely impacted. ♦ Much less money in automotive parts. Automotive parts manufacturers will be significantly negatively impacted. Electric cars have thousands of fewer parts than internal combustion vehicles. 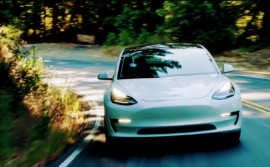 They are much simpler and following Tesla’s lead will trend to even more minimalism. Just as skeuomorphism is finally going away in digital interfaces, the analog and horse buggy antecedents to car controls and interiors are fading as well. That will have a dampening effect on global supply chains, parts distribution companies, a lot of OEMs, etc. ♦ Carbon-neutral electrical generation companies will flourish. 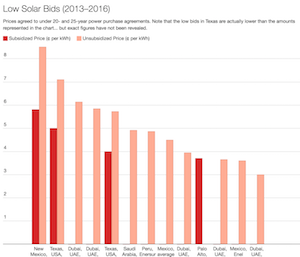 The generation firms which embrace renewables in a big way will see significantly increased demand for their product, a rare piece of sunlight in an ugly utility market. Carbon pricing and further regulation of pollution are inevitable, so only green electrical companies are positioned for rapid growth with increased electrical demand. ♦ Car dealerships may disappear, but at minimum there will be a lot fewer of them. Dealerships make the majority of their profit off of post-sales maintenance. Electric cars require a lot less post-sales maintenance. 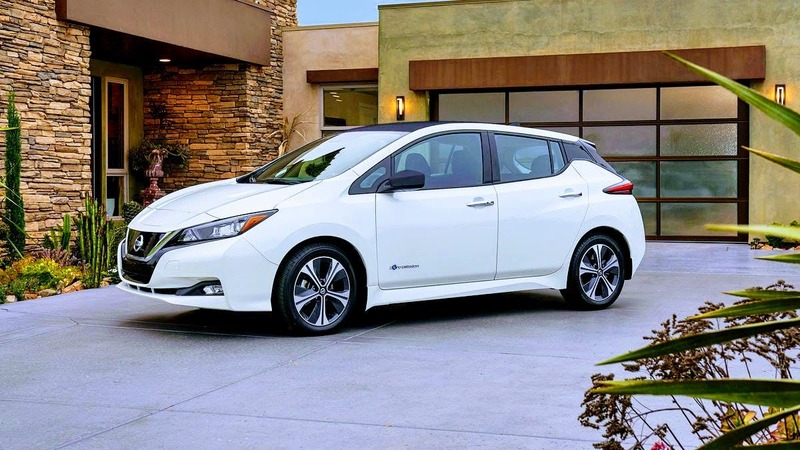 Dealership business models don’t add up for electric cars, which is a key reason they are currently a significant inhibitor on legacy manufacturer electric car sales. Tesla is leading the way in this, as with so many other necessary transformations, but legacy manufacturers aren’t willing or able to take on their powerful dealer networks. With the decline of legacy manufacturers and the necessary transition from the survivors away from this distribution model, dealerships will be radically impacted. ♦ Muffler shops will disappear. Electric cars don’t have mufflers, so every single muffler repair shop in the world will go away. ♦ Brake shops would virtually disappear. Electric cars use their motors for regenerative braking an awful lot more than brake pads. Less use, less wear, longer life. With a lot fewer brake jobs, there will be a lot fewer shops providing them. Interestingly, brake fluid replacement may be more common, as is seen from Tesla and Nissan maintenance recommendations today, as brakes are used less and moisture buildup occurs more readily. 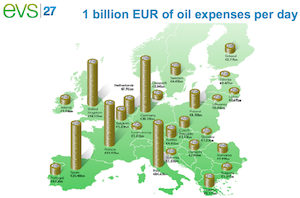 ♦ Oil change franchises would disappear. 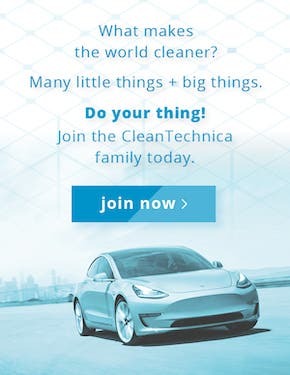 Electric cars don’t have engine oil, so don’t need it changed. ♦ Gas stations will disappear and be replaced by very different electric car charging stations. Gas stations are badly placed, badly sized and are brownfield sites requiring massive remediation. Electric car charging points can be put up almost anywhere at incredibly low cost. Most people will just charge at home. ♦ Emissions testing facilities will disappear. All of the people and facilities and technology involved in testing tailpipe emissions will be looking for other things to do. No tailpipes, no emissions. ♦ Clean air and a related health dividend. Electric cars don’t emit air pollutants of any type during operation, and greening the grid is occurring as well. Millions die annually or have significantly degraded health due to air pollution. Getting rid of internal combustion engines will lead to healthier populaces. Healthier populaces are more productive populaces. That’s worth billions to most countries and trillions globally. ♦ Quieter cities and related health dividends. Electric vehicles don’t make as much noise on city street speeds compared to internal combustion vehicles at speeds of 50 km/h and lower. And a really noisy electric car is nothing compared to a Harley Davidson, a big diesel truck, or an internal combustion sports car. Traffic noise is directly correlated to loss of sleep in urban centres, so eliminating that major source of noise will have health benefits for populations too. That’s worth money as well. ♦ Reduced climate change and related health and economic dividends. Transportation contributes 26% of greenhouse gases in the USA, and that’s all from internal combustion engines. Get rid of the internal combustion engines, replace them with electric engines powered by renewable energy, and that 26% goes away. Climate change is projected to have significant negative health impact, as can be seen with the impacts from Hurricanes Harvey and Irma, the monsoon flooding in Bangladesh and the region (which has displaced over 40 million people), and the wildfires threatening western North American cities and towns — all just in August and September of 2017. * To provide context for my opinion on the automotive industry winners and losers, I’ve fleshed out aspects that I think are important, especially for Germany and Japan, two current automotive giants that are likely to diminish substantially in market share. The problems for the two countries are different. For Germany, it appears as if Volkswagen Group has turned the corner due to its existential crisis; it hasn’t been wasted. VW is sidelining its diesel division, investing heavily in a pure electric platform, and running for sunlight. The brands within the VW family share more of that, so also might do better on average. VW is also exploring one of the key elements of electric success, a competitive strategy for dealing with the battery supply chain. It is considering building its own gigafactory, forming a pan-European partnership for this, or nailing down strong relationships with foreign battery suppliers. 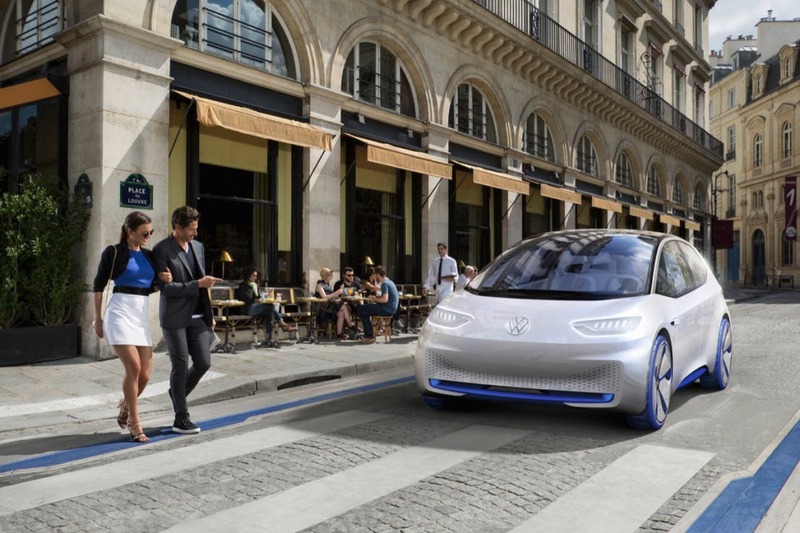 However, VW still hasn’t gotten serious about the long-distance charging infrastructure issue as Tesla has, and still has to deal with its dealer network, which is strongly incented to push ICE cars. BMW, on the other hand, did a lot of bikeshedding with hybrid cars instead of focusing on pure electrics, leaving two inferior range cars, one of which shares little with BMW heritage. And now it’s backing away from electrics and focusing on autonomy. 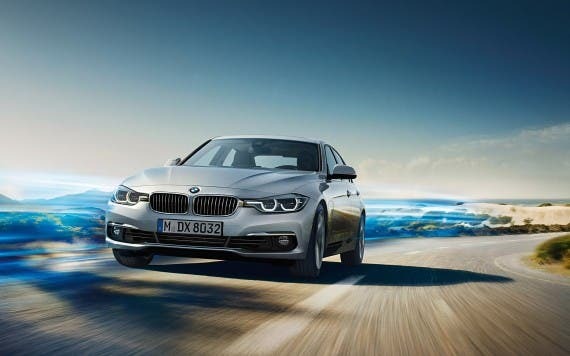 BMW has committed to electric drivetrain options for all models in the future, but to be clear, that means that there will be a lot of inferior electric cars in the BMW lineup because they still have to accommodate space and engineering for legacy internal combustion engines. As I lay out in this article, you have to reengineer your cars from the ground up to create a compelling electric car, and BMW is committing to the opposite. Mercedes currently has only one electric car in its lineup, and it wasn’t designed electric from the ground up. It just announced that all cars would have an electric drivetrain option by 2022, which puts is squarely in the same compromised zone as BMW, but perhaps further behind. It’s recent announcements suggest it may fail entirely or at least wither to a husk of its current self. As far as we’ve seen, neither BMW nor Mercedes is dealing in a major strategic way with the battery supply issue, the long-distance charging concern, or the dealer network problem. I don’t see a single legacy car company that is dealing with all of those challenges, but the dealer network is a huge drag on legacy car companies that they appear most unwilling to face. Japan has a different problem — hydrogen. While I agree that they led with hybrids (Toyota and Honda) and the LEAF (Nissan), they’ve stalled on that front and have governmental and major corporate commitment to hydrogen fuel cell vehicles. Part of this is likely due to the Fukushima disaster, which made them realize that their electrical supply was going to be massively constrained for a decade or two, but it’s also a Japanese cultural oddity. I worked closely with Japanese people on complex deals for major corporations for a couple of years and spent a lot of time analyzing the culture. This hydrogen fixation has the smell of respect for a revered older man who has committed to it and virtually no one is willing to contradict him, a staple feature of much of the conservatism of Japanese culture. Nissan might be the exception, but its most recent LEAF updates and the like are seriously underwhelming. And Nissan definitely has the dealership problem, which it doesn’t appear to be on track to solving. I don’t see the level of commitment to address those points of differentiation that Tesla has brought in to address market needs and the different distribution required for electric cars. 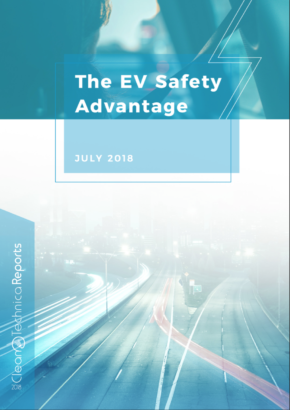 Most major current car companies are in for a very bumpy decade or two as electrics flood the market from upstarts, desperate secondary brands which figure it out, and possibly a couple of legacy vendors who commit strongly, such as Volkswagen and Nissan. I hope that helps explain my perspective. I may be wrong, and I’m certainly not counting out any car company except Fiat Chrysler entirely, but I see little reason to believe that many will figure it out in time and a lot of reasons why many of them will cease to exist as they are.